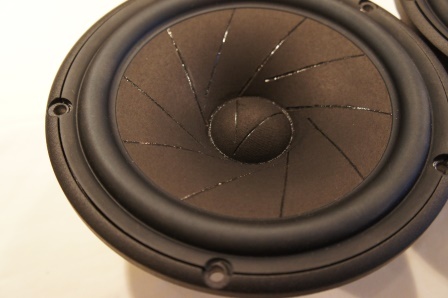 This time on the test bench we have the ScanSpeak 18W/4531 mid-woofer from the ”Revelator” series. The two tested driver units are the 18W/4531-00 and the 18W/4531-01. What’s the difference between the -00 and the -01 version? 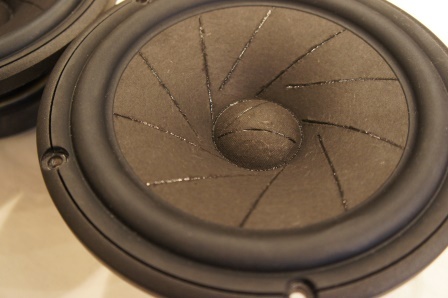 These two mid-woofers are very similar and the main difference is the cone material used. 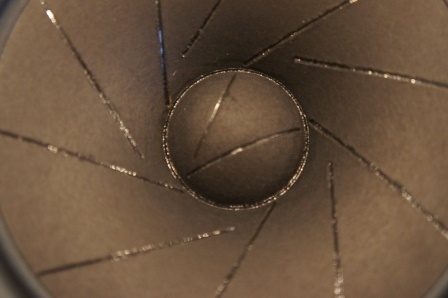 The -00 version uses a sliced paper cone and where the slices are filled with damping glue. 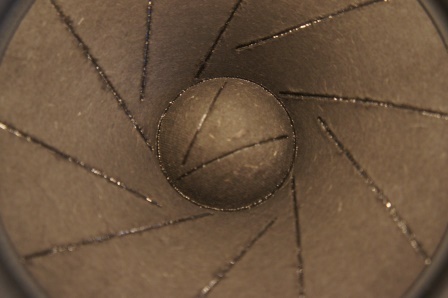 The -01 version uses a similar sliced paper cone, but the paper cone is also mixed with wood fibers, hence the slightly grayer color of the cone. Both versions have a 38mm voice-coil, but the -01 version has a slightly taller (0.5mm) voice-coil compared to the -00 version. In all other aspects e.g. magnet size etc. they are identical and even though the official specification indicates that the -01 version has a slightly larger cone area of the two (157cm2 v.s. 150cm2), it has the same cone area as the -00 version. 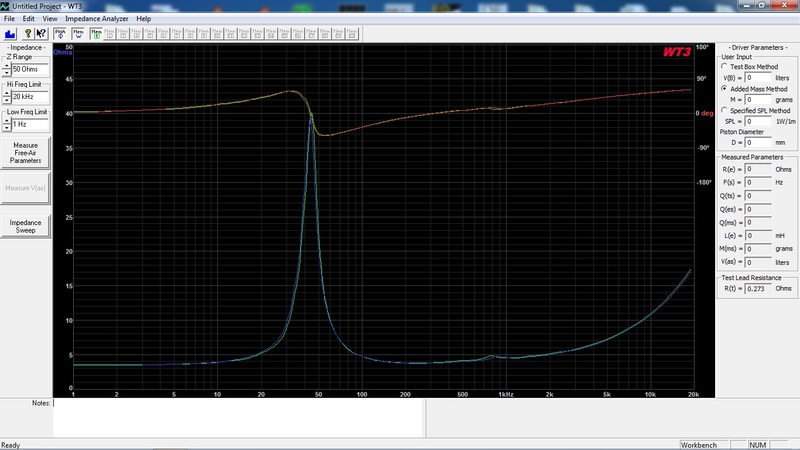 The impedance wrinkle around 800Hz is a bit more pronounced for the -01 version compared to the -00 version. Besides that the impedance plot is virtually identical between the two versions. Both versions have an extended frequency response and a very smooth frequency roll-off without any nasty cone break-ups. 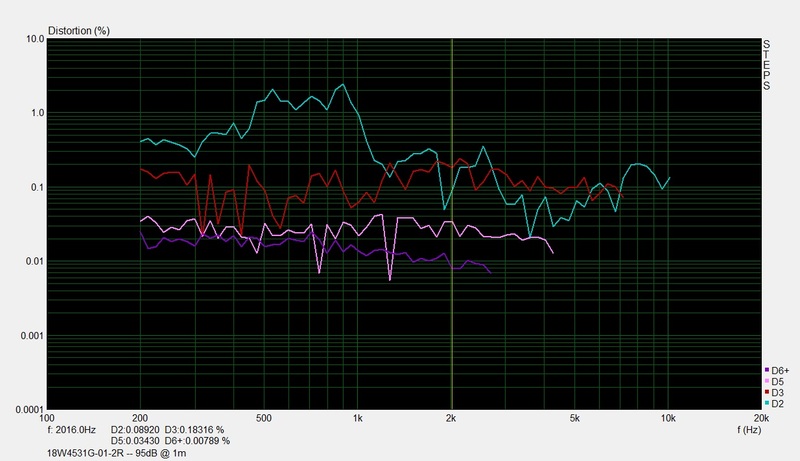 The -00 version has a smoother frequency response around 800Hz (where the impedance wrinkle is) compared to the -01 version. It also has a slightly more extended frequency response. The -01 version on the other hand has a slightly smoother frequency response in the 2-6kHz range compared to the -00 version. They are both outstanding frequency response performers compared to just about any 7” mid-woofers in the market. Both versions have a very low odd-order distortion profile, but both also have an elevated second-order distortion profile in the 0,4-1,2kHz area. Both the -00 and the -01 version are top performers and any of them can be chosen from a performance perspective. Most likely they can also be a drop in replacement to each other in many designs and it’s more a matter of price and availability, which one to choose. I personally think the less common -01 version with its wood fiber cone looks interesting. Read full article |Comments Off on ScanSpeak 18W/4531 Measurements!